So, the Sabbath, is from sun down on Friday, to sun down Saturday. If my schedule permits, I love to rest during this time, to honor the eternal record forever established in the heavens. Yet, we see hospital workers, retail, police, etc, all having to work Saturday’s in this society. Probably not God’s best, it would be good for us to all actually rest one day per week as a society. Seems God has blessed ‘Chik-Fil-A’ in their committment to close one day a week to go to church. J. Vernon McGee tells this story about a man who wanted to argue about the Sabbath. The man said, “I’ll give you $100 if you will show me where the Sabbath day has been changed.” McGee answered, “I don’t think it has been changed. 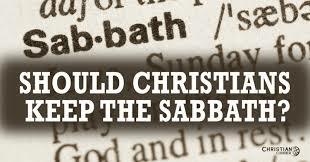 Saturday is Saturday, it is the seventh say of the week, and it is the Sabbath day. I realize our calendar has been adjusted, and can be off a few days, but we won’t even consider that point. 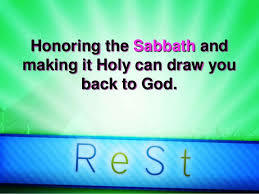 The seventh day is still Saturday, and it is still the Sabbath day.” He got a gleam in his eye and said, “Then why don’t you keep the Sabbath day if it hasn’t been changed?” McGee answered, “the DAY hasn’t changed, but I have been changed. I’ve been given a new nature now, I am joined to Christ; I am a part of the new creation. We celebrate the first day because that is the day He rose from the grave.” That is what it means that the ordinances have been nailed to the cross, Colosians 2:14. 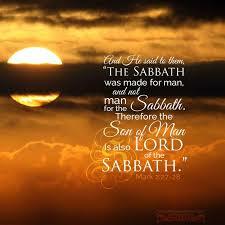 The Sabbath is Saturday, but the spirit of the Sabbath is the love of God. Take a day off a week and relax! Recreation is RE Creation. Come back to your Creator and experience times of refreshing in His presence. Ameliorate – To Make Life BetterWhy Jerusalem? Why Israel?